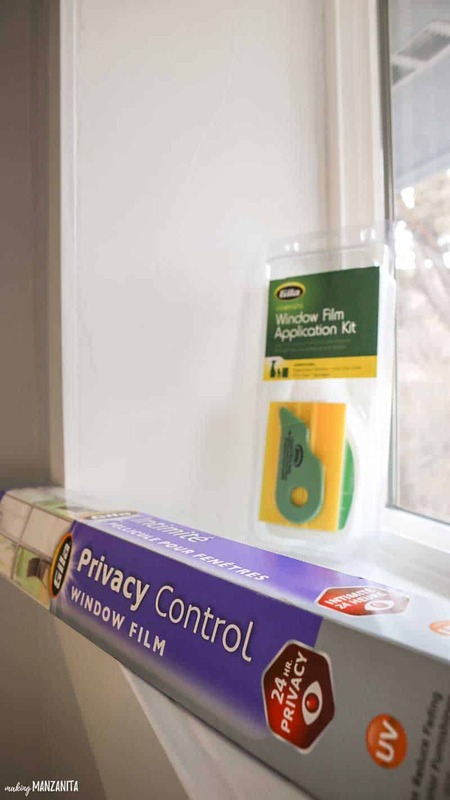 If you’re looking for a way to add privacy to your bathroom window, consider installing a frosted window film. 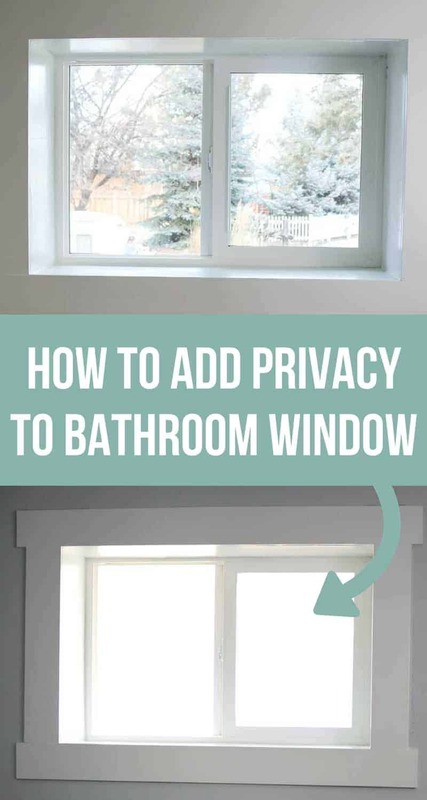 You’ll love that you can still have natural light in your bathroom, but the privacy that you need. 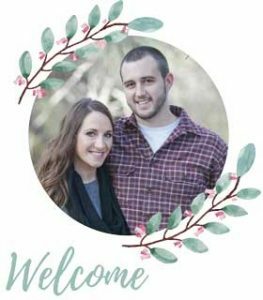 Shortly after we got moved into our new fixer upper, I walked into our bathroom to take a quick shower and…..realized that if I could see out of my bathroom window and into the front yard, people could definitely see into the bathroom. That’s DEFINITELY now how that’s supposed to work. There were no blinds, no curtains, no frost window film, no etched glass…just a nice clean…very see through window. I hadn’t noticed the fact that our bathroom window had no privacy until we were living there, but it was definitely something we needed to fix…and ASAP. Luckily, there is another SUPER small bathroom at the other end of the house that has a shower. During the first week we were living here, we had 7 adults living here (Logan’s family was here to help with the move and celebrate Christmas). That little bathroom really got a work out! I was sooooo looking forward to adding some bathroom privacy to our window so I could take start taking showers in there. 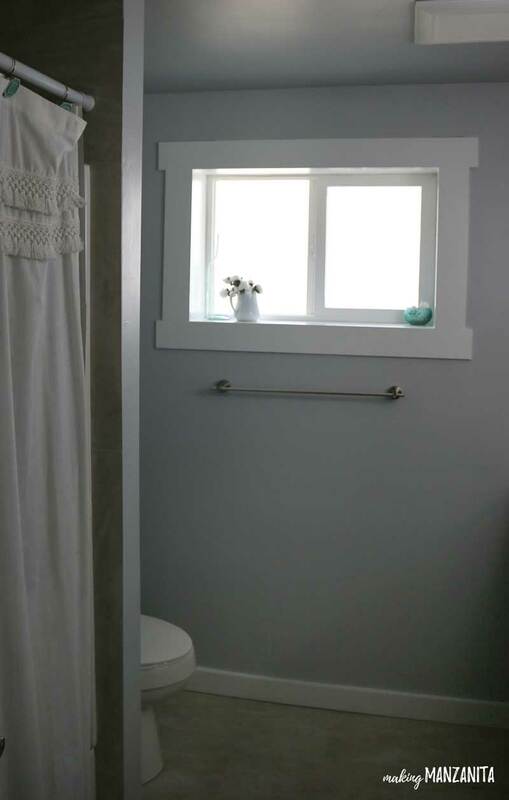 We had a few options for adding privacy to the bathroom window. We could have installed blinds, curtains, or even replaced the window with something like an etched glass that was made just for bathrooms. They even make a window frosting spray we could have used. We decided to go with adding a frosted window film for bathroom privacy. It was definitely the most budget friendly option. I was thoroughly overwhelmed by all of the options. There were so many unique designs and patterns to choose from, who knew!? 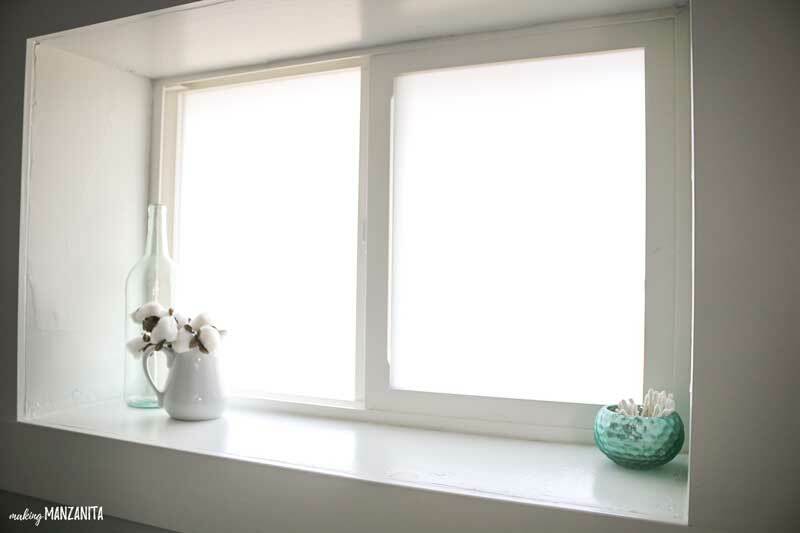 Even after all looking at all of the fun patterns, I chose this plain frosted window film. Call me boring, but I was worried the designs would clash with the decor or I would grow tired of them. We had never added a frosted window film to anything before, but it didn’t seem too hard. We also grabbed this tool kit to help with the application. 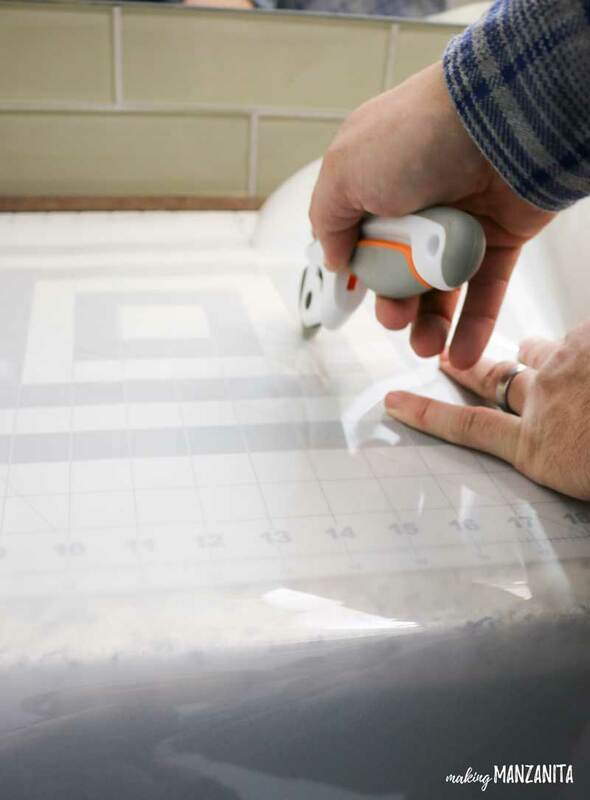 Here’s a few things we learned during the frosted window film application process. You definitely need two people to put on the frosted window film. Really the only part where two people are definitely necessary is when you are peeling the backing off of the frosted window film. One person needs to be holding the film and one person needs to be spraying the application spray onto the film. Work slowly to avoid frustration. Read (and follow) the instructions. This seems obvious, I know. But when we first unpacked the frosted window film, I thought….how hard can this be. 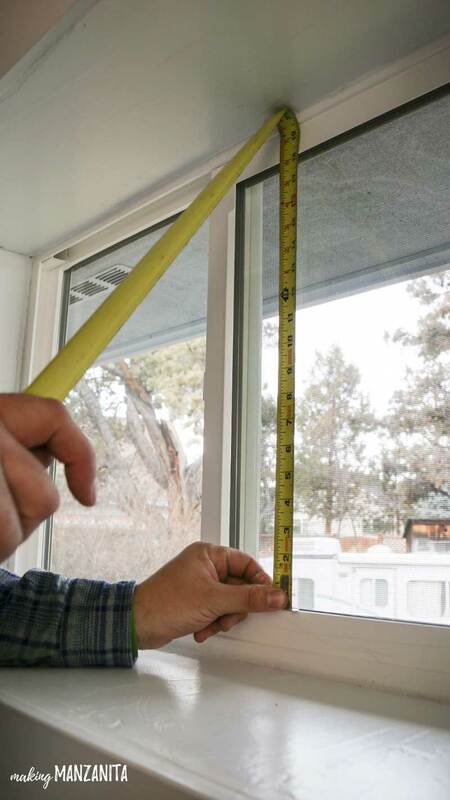 You just cut it down to size and stick it on the window. The instructions had a whole ‘nother way of applying the film and lots of helpful tips on how to get nice, straight edges and avoid bubbles under the frosted window film. This is one tip that was seriously GENIUS and they mentioned in the instructions. 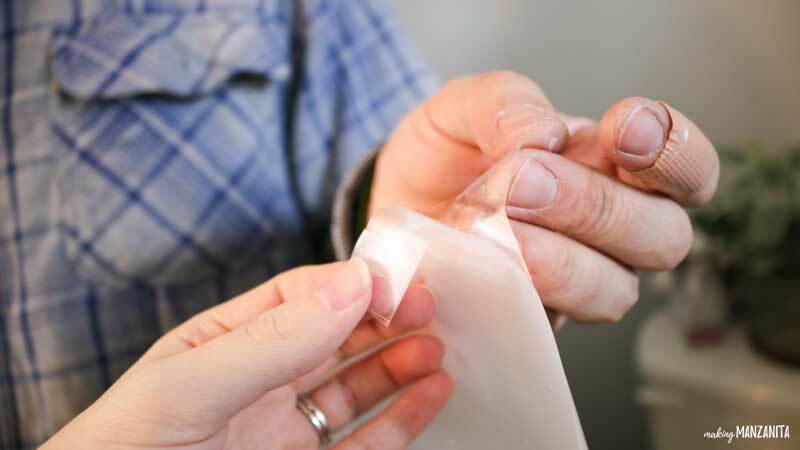 You can add two pieces of scotch tape to the corners of the film and the backing to pull them apart easily. It took us about 30-40 minutes to apply the frosted window film and after we were done… TA DA! P.S. Aren’t those cute cotton stems adorable? You can make them for just $2. Check out the full tutorial here. I love that the bathroom still gets a lot of natural light coming in through the window, but our neighbors can’t see into the bathroom anymore, which is kind of a no brainer, right? 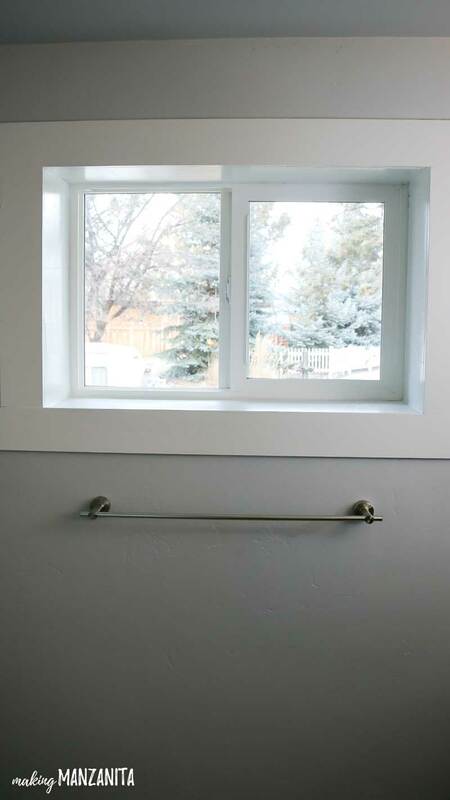 Amazing how simple (and inexpensive) it was to add privacy to our bathroom window!